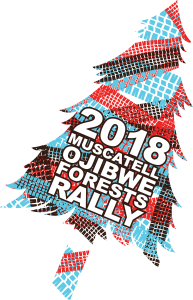 The Muscatell Ojibwe Forests Rally is excited to once again offer a VIP Spectator package. This year’s package will allow you to see the cars in more all VIP exclusive locations, receive an Ojibwe Forests Rally T-Shirt and have fun without worrying about staying on schedule. We want you to put the planning on our shoulders. We will make spectating a national rally easy and convenient. The VIP Spectator Package is made possible with generous support from Anderson Bus.